Here’s Mimi’s takeover with all things Autumn! 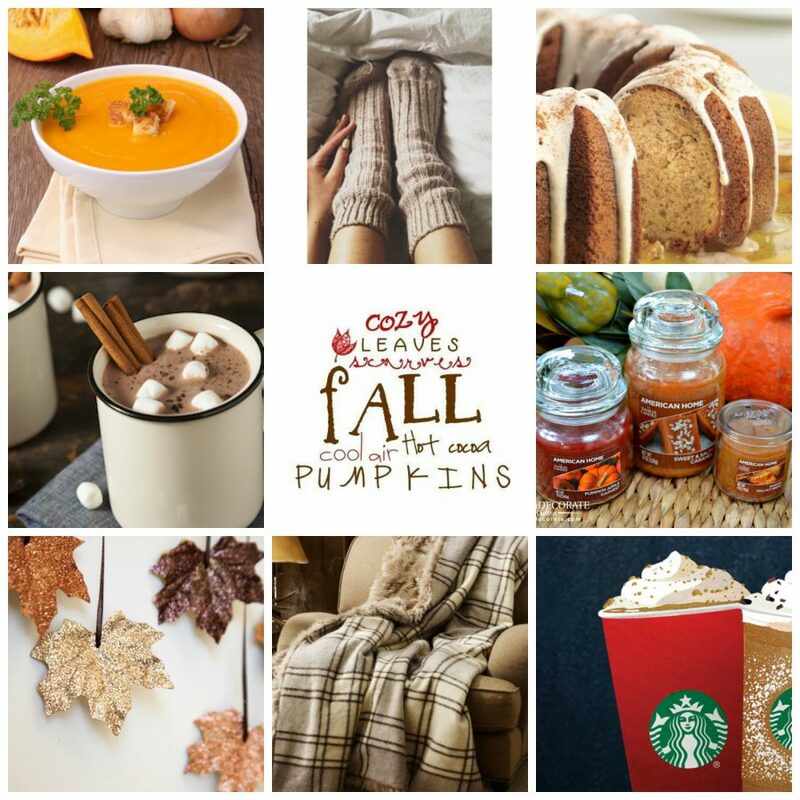 I’ve spotted a few changes recently, suggesting we are entering into autumn territory, (except this unexpected heatwave) So I decided it would be such a FAB idea to get into autumn spirit and share our favourite parts about the fall. Mimi – When the autumn rain arrives I hate going out, it’s my perfect excuse to buy some snuggle pyjamas from Primark and watch as much television as possible! I also look really forward to winter clothes, no more shorts in England or having to paint my toenails as my flip flops are thrown to the back of my cupboard! Lisa – As soon as someone mentions Autumn I think of sofa snuggles! No more feeling bad about being inside on a Sunday, the sofa it is! I love spending time with my family enjoying the warmth of endless teas – far better than in summer when it’s too hot to drink them! I can’t forget my ugg boots, they may go into hibernation in summer however as soon as that sun disappears my ugg boots make an appearance! George – Definitely the fashion! I love a bit of Autumn fashion, not only do I love the fur, I also love leaving the house in the morning knowing that the weather is going to be bad and being prepared for it. Not leaving the house in the rain and coming home dripping with sweat because the sun has come out! I also can’t forget my excitement when is see a Costa/Starbucks festive drink, the Halloween ones are amazing! Emily – Well where do I start, I love autumn however I’d have to say the television, autumn is the season for The Great British Bake-off! Enough said not only do I get to watch it, but Bump have now made a bake-off competition, this months the best! I also have to agree with George, a spiced hot chocolate and a croissant for breakfast is the perfect start to any day, Yum! Lucy – I love the autumn colours, not just for my wardrobe but also nature, I find the dark greens and browns so gorgeous! Another one of my favourite things about the autumn weather is hot chocolate on a cold morning, it’s a must before work. planning presents and decorations. The fashion of autumn is also fab, I enjoy sorting out all my winter outfits and what accessories I can match them.